If you cannot join online games or hear other players in games or chat, you might have a Network Address Translation (NAT) problem. 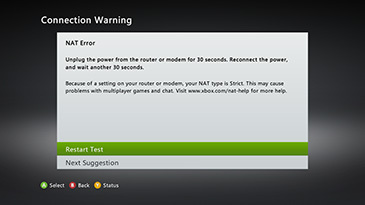 If you have a NAT problem, you will see a NAT warning icon or error when you test your Xbox LIVE connection. If you get a NAT error, try our methods below to attempt to resolve it. Next you should have a popup asking for a User Name and Password. The User Name is user and the Password is user. Then press OK.
Once logged in to the Comtrend router, click on Advanced Setup on the left side of the screen. 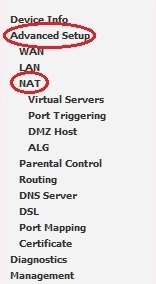 Then click on NAT and then click on Port Triggering. Finally click on Add to begin setting up the Port Triggering. Once this information is typed it, then click on Save/Apply. Next you should have a popup asking for a User Name and Password. Skip the username and the default password should be admin, unless you have manually changed the password, and then press OK.
Once logged in to the Linksys router, click on Applications & Gaming at the top and then Port Triggering in the sub-menu. To set up Port Forwarding, there are two main parts that must be done. 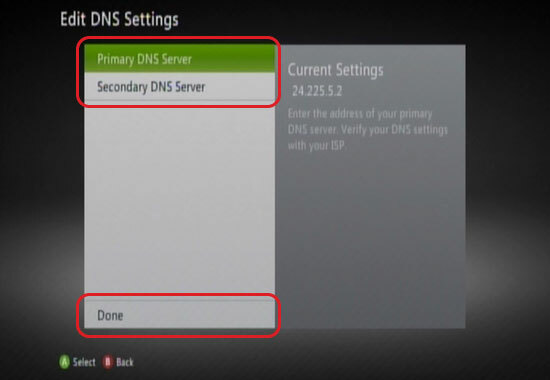 The first part is setting up a static IP address on the Xbox 360, and the second is setting up the port forwarding on the router. 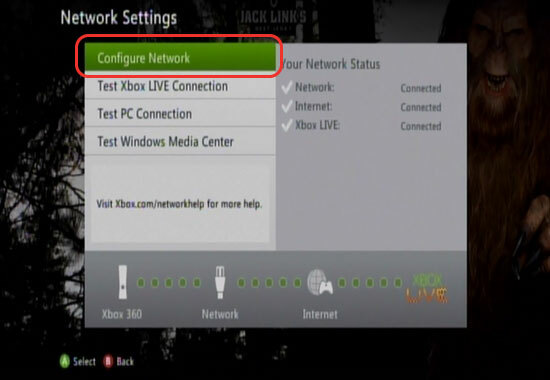 NOTE: By enabling a static IP address on your Xbox 360, you may run in to connectivity issues when attempting to connect to the internet at different locations. If you do run in to connectivity issues at other locations, you must turn off the static IP. To start, we will need to turn on the Xbox. Then go to the Settings heading. 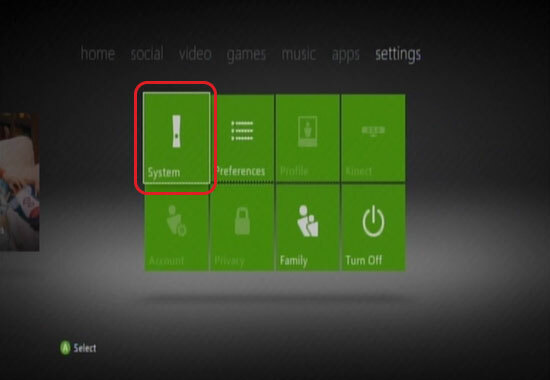 From here you will need to move down and press A on System. 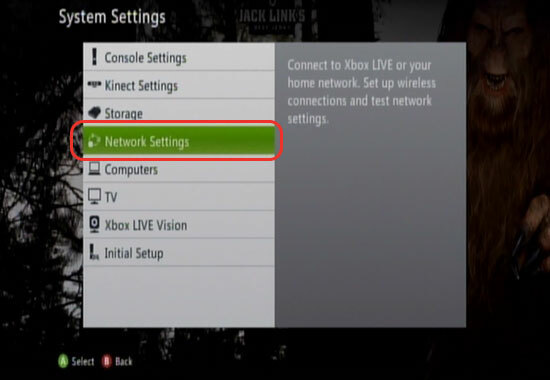 Next, choose Network Settings. 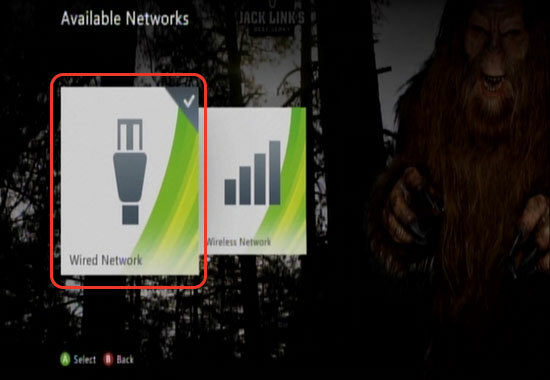 Then you will want to select Wired Network. NOTE: The next steps are for the Wired Network settings. If you are connecting to a wireless network, then select Wireless Network instead. The steps for assigning a static IP for a wireless network should be somewhat similar. Next, we will want to select Configure Network and press A. 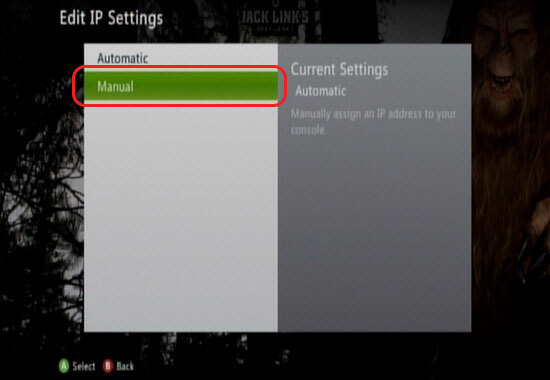 Here we want to select IP Settings by pressing A again. Then, we will want to select Manual to begin assigning a static IP. 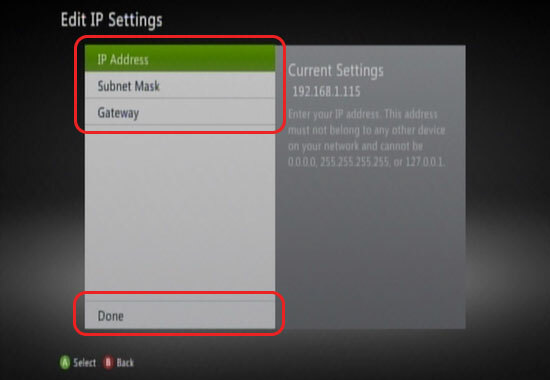 Here you will need to fill out the IP Address, Subnet Mask, and Gateway information. Once all three settings have been entered, select Done and press A. 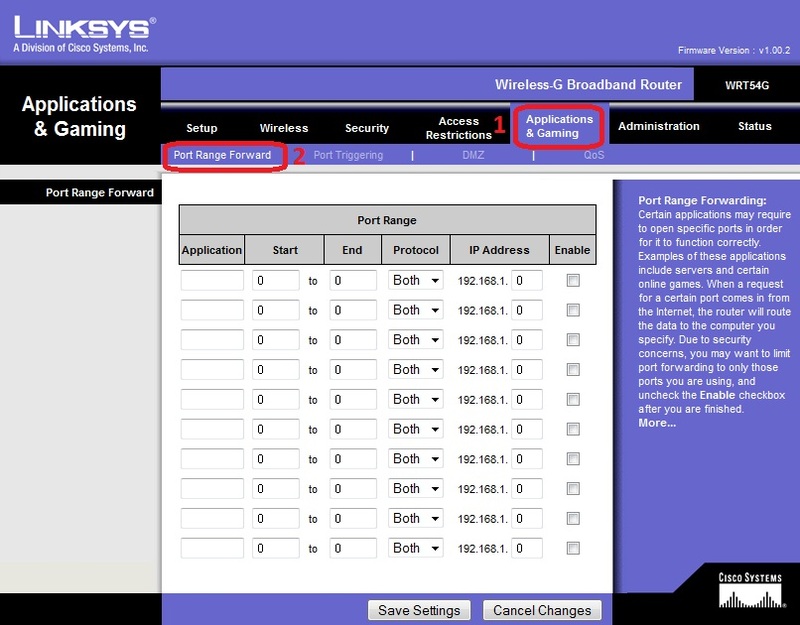 NOTE: These settings may vary depending on the brand of your router, but the following settings are the default for both Comtrend and Linksys brands. Once these addresses are entered, select Done and press A. 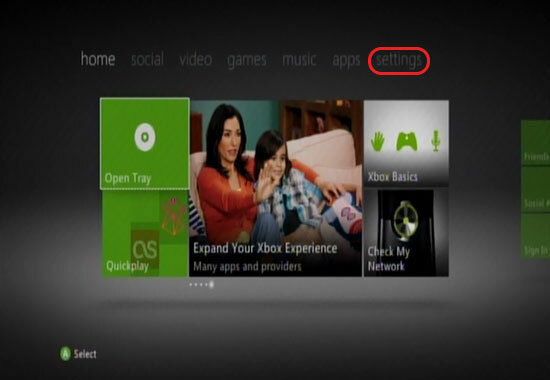 Now we have successfully assigned a static IP address to your Xbox 360. Next we will need to set up the port forwarding inside your router. 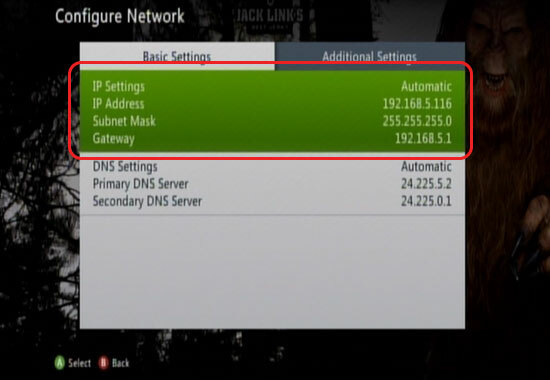 Please follow the steps below to configure your router. Next you should have a popup asking for a User Name and Password. 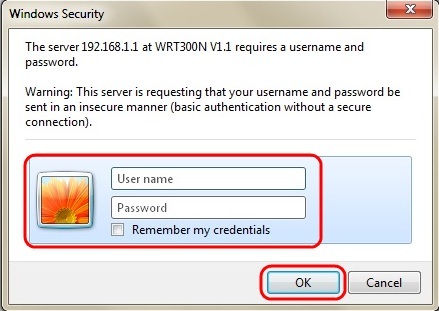 The User Name is root and the Password is central. Then press OK.
Once logged in to the router, click on Advanced Setup on the left side of the page. Then click on NAT. Finally, enter the following values in to the table. Once finished, press Save/Apply at the bottom of the page. 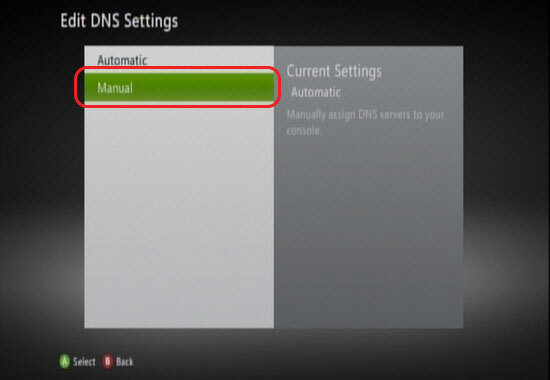 Port Forwarding should now be set up in your Xbox 360 and Comtrend. You may need to wait a couple of minutes for the Comtrend to save the settings and take affect. If you are still getting the NAT Error, please call our Help Desk at 888-565-3200. Enter the following information in the Port Range. Once completed, press Save Settings at the bottom of the page. 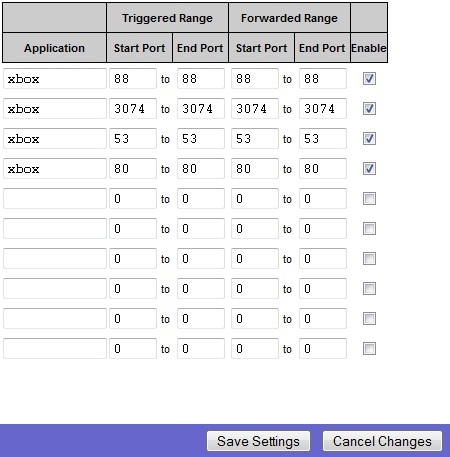 Port Forwarding should now be set up in your Xbox 360 and Linksys. You may need to wait a couple of minutes for the Linksys to save the settings and take affect. If you are still getting the NAT Error, please call our Help Desk at 888-565-3200. Posted - Wed, Jan 25, 2012 at 6:51 PM. This article has been viewed 111428 times.